How much can be safely lifted, and from what angle? The question people often have when they design warehouse work flow is, “how much can we lift by hand?” The answer to that question isn’t cut-and-dried. It all depends on the angle, the approach, the frequency, weight and reaching/twisting requirements. 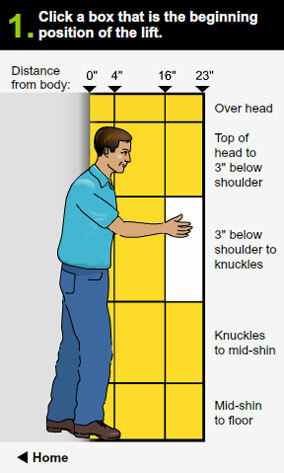 The Washington State Department of Labor and Oregon OSHA have created an interactive application to help when you need to answer these questions about how or whether to lift a load by hand. 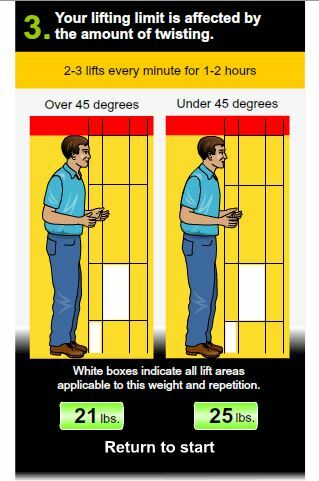 Difficult loads at difficult angles may require team lifting or lifting devices such as hoists or scissor lift tables. 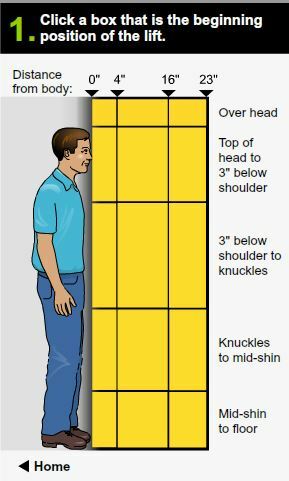 This application should be helpful in helping you understand the most appropriate ways to lift a particular load–and it’s a breeze to use. Just answer a couple of questions and it will return recommendations about safe lifting of that particular item in that circumstance.